WEDNESDAY, Dec. 19, 2018 (HealthDay News) -- Does your typical afternoon snack leave you feeling unsatisfied and reaching for more? If your pick-me-up is a bag of salty chips or a chocolate bar, a better (and healthier) way to go is with a high-protein choice, according to research published in The Journal of Nutrition. Snacks can make or break your diet. They can be a bridge from one meal to the next, keeping hunger in check and keeping you from overeating at meals. But if you're not careful, they can add unwanted and even excessive calories to your daily total. Studies show that people of normal-weight tend to choose healthy snacks, like protein, fruit or whole grains, while overweight people tend to choose snacks high in fat and sugar, often compounding their weight woes. The study, which involved teens, found that surprisingly good snacks are soy-based, high-protein choices -- a perfect way to get more plant foods in your diet. When comparing the effects of a high-protein soy snack to a high-fat snack, the researchers found that eating soy protein improves appetite control and diet quality, and helps you feel more satisfied. It can also boost your mood and brain function. Soybeans are nutritionally unique -- the only vegetable that offers complete protein, all nine essential amino acids needed for health. They're rich in B vitamins, iron, calcium and omega-3 fatty acids. Eaten whole as edamame, they're also an excellent source of fiber. 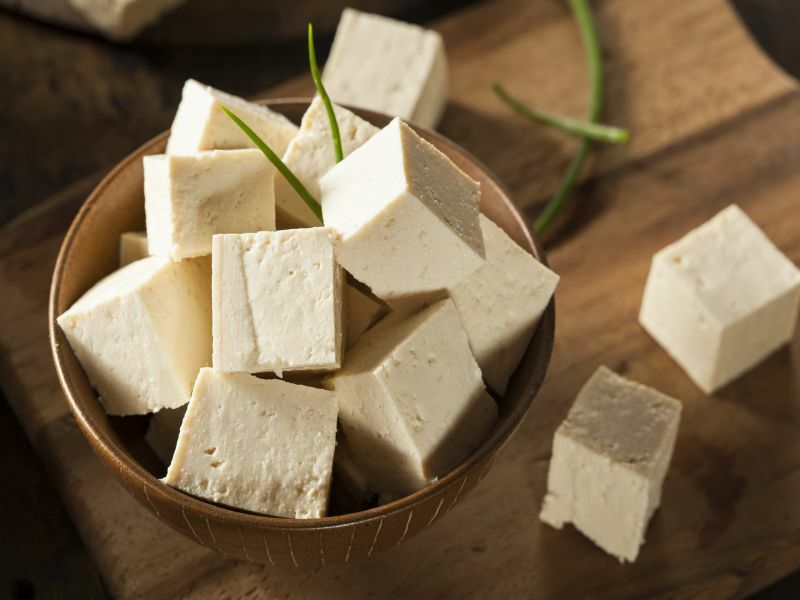 Soy is also available as tofu that can be cut into chunks and tossed into salads, soy milk for smoothies, and even soy cheese. Just be sure to check the protein count on nutrition labels before you buy, and avoid prepared soy foods that have any added saturated fat, cholesterol and/or sugar.